In this article, I am going to share about the nonprofit I founded in 2010. While formally named the Dusty Joy Foundation, we do business under the name “LiveLung.” That name was inspired not by Star Trek, as some presume, but rather by an ancient Jewish blessing “Live long and prosper.” It was that same blessing that inspired actor Leonard Nimoy’s character, Mr. Spock, to use it as a Vulcan greeting. (See more here.) Coincidentally, Nimoy, who was Jewish, died from lung disease. After my lung cancer diagnosis in 2005, I quickly recognized the need for lung cancer advocacy. I started volunteering with several nonprofit organizations, including the cancer center where I was treated. They had no lung cancer literature in the resource center, so I volunteered there and stocked the shelves with educational material on lung cancer. I also volunteered in the family waiting area of the trauma center. My family had been there after my lung surgery. I volunteered with the American Cancer Society. They sent me to Washington, DC and trained me to advocate lawmakers during their annual advocacy event on Capitol Hill. I even advocated within the American Cancer Society for increased focus on lung cancer research. 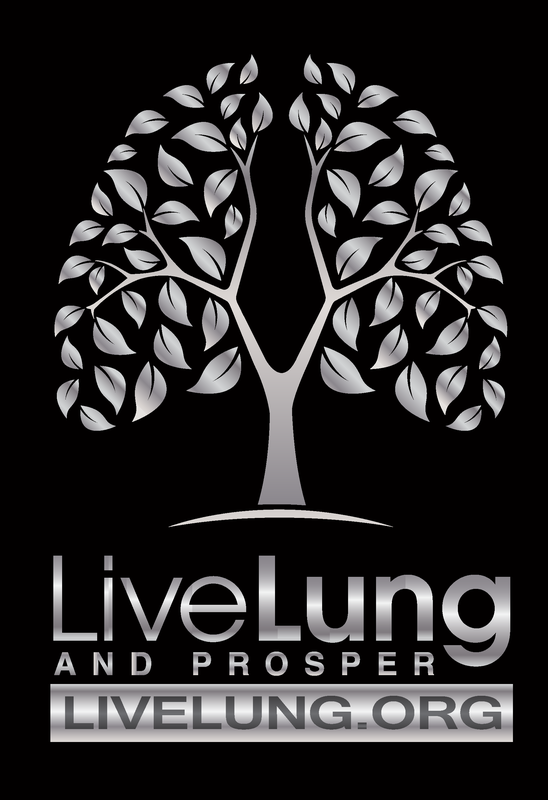 I volunteered with the National Lung Cancer Partnership (now known as Free to Breathe). They were the first organization to bring patients, advocates, oncologists, and researchers together. They trained and equipped advocates to effect change for the cause. I also worked with Lung Cancer Alliance, who was leading the way for advocates to contact legislators to share their stories and ask for increased lung cancer research funding. While volunteering with other nonprofits, I organized several 5K charity events and other activities. 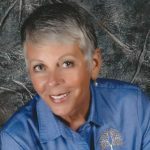 Eventually, after approximately five years of volunteering with other organizations, I had ideas about programs and things I wanted to try to accomplish. I decided rather than trying to convince people within another organization to catch my vision, I would start my own nonprofit. Our organization is quite small, perhaps the smallest member of the Lung Cancer Action Network. I serve as a full-time volunteer with the organization. We have no full-time employees, although we do have part-time administrative support staff. Even so, we are able to make an impact in the lives of people touched by lung cancer. We do various advocacy activities, such as raising awareness about lung cancer screening and distributing free radon test kits in high-risk areas. As we have evolved over the years, we are primarily focused on two major programs: Support groups and Hope Totes. 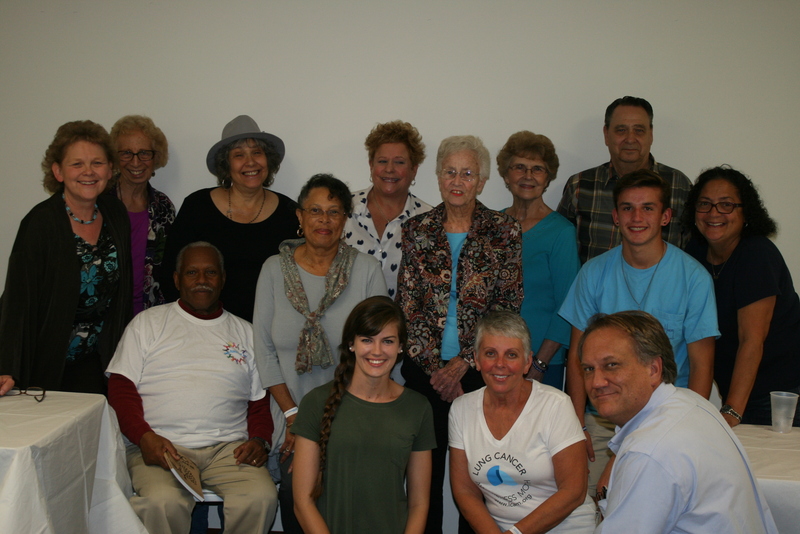 We have four lung cancer support groups that meet monthly in Virginia and North and South Carolina. Meetings feature quarterly speakers, such as an oncologist, thoracic surgeon, or pulmonologist. My favorite part of our meetings is when patients and caregivers share about their journey and update the group on new developments. We also work with several cancer centers to provide gift bags to newly diagnosed lung cancer patients. We call these bags Hope Totes. Every Hope Tote is filled with practical, meaningful gifts to help and encourage patients. We include an appointment book to keep track of medical appointments, a pen and notebook with sticky tabs to jot down questions for the doctor or to make notes about the doctor’s instructions. We include tissues, cookies, lung cancer awareness wristbands and lapel pins, and a brochure about our organization. Each Hope Tote also includes a copy of our book, The ABCs of Lung Cancer for Patients and Advocates. We still partner with other lung cancer organizations and do whatever we can to advance the cause, but we believe we are able to make a meaningful difference in the lives of more people through our nonprofit. I write about other organizations but thought it was time to share a little about this tiny nonprofit that means so much to me. Please feel free to contact me or comment on this article if you have any questions about or would like to get involved with the Dusty Joy Foundation (LiveLung).